Sant'Agata Bolognese, – Over the course of the past fiscal year 2015 (31.12.2015) Automobili Lamborghini S.p.A. achieved historic highs in the main corporate figures. Global sales of Lamborghini super sports cars increased by 28% from 2,530 to 3,245 units. This growth represents not only an increase in volumes compared to the previous year, but a considerable gain. In fact, the company exceeded its previous threshold of more than 3,000 units sold worldwide. Turnover increased exponentially from 629 to 872 million euros. This represents an increase of 39%, due to strong sales growth generally and a substantial contribution to total sales worldwide from high-value V12 Lamborghini Aventador derivatives. Lamborghini is earning profits and continues on a sustained growth path. All new projects are financed out of the cash-flow. "In 2015 we achieved business growth for the fifth year in a row and historic highs with key figures. We have also made wide-reaching strategic decisions that will facilitate the company's mid and long-term success in global luxury automobile markets," says Lamborghini President and CEO, Stephan Winkelmann. 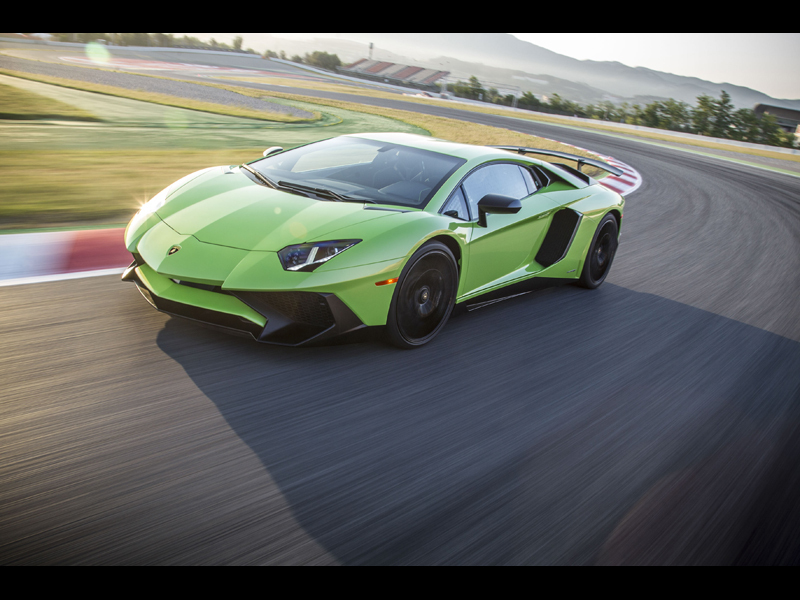 Deliveries of coupé and roadster versions of the twelve-cylinder Aventador LP 700-4, as well as the new Aventador LP 750-4 Superveloce, amounted to a total of 1,003 units. The Aventador's success story was also demonstrated by delivery numbers in the 52 months following market introduction, with an increase of 124% over sales of its Murciélago predecessor within the same time period.